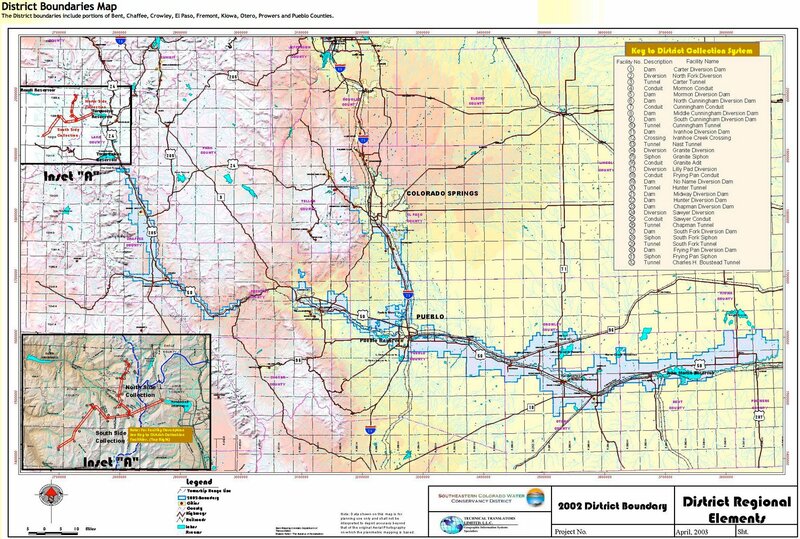 A $30 million budget was approved Thursday by the Southeastern Colorado Water Conservancy District board of directors. The budget is the largest in the history of the district because it reflects spending $12 million in the first phase of a hydropower project at Pueblo Dam. The board is scheduled to consider approval of that project at a special meeting later this month. The hydropower project now includes the district and Colorado Springs. The Pueblo Board of Water Works pulled out as partners last month, because it would realize few benefits from the project. When completed, the $20 million project will generate 7.5 megawatts of electric power and become a source of revenue for the district’s Water Activity Enterprise. The budget’s other large-ticket items include repayment of federal funds for construction of the Fryingpan-Arkansas Project, $7 million, and Fountain Valley Conduit, $5.8 million. About $24 million is still owed for construction of the Fryingpan-Arkansas Project, which began in 1965. The project includes Ruedi Reservoir, a collection system in the Hunter Creek-Fryingpan River watersheds, the 5.4-mile Boustead Tunnel that brings water across the Continental Divide, Turquoise Lake, the Mount Elbert Forebay and Power Plant, Twin Lakes and Pueblo Reservoir. The Fry-Ark debt is repaid through a 0.9-mill property tax in the nine-county area covered by the district. The Fountain Valley Conduit serves Colorado Springs, Fountain, Security, Stratmoor Hills and Widefield, which pay a special property tax. The operating fund of the district will be $2.3 million, and is funded by a 0.03 mill levy and transfers from the Enterprise fund. The Enterprise operating fund will be $1.8 million, and is mostly funded by fees and surcharges on water activities. Other than hydropower, the Enterprise will administer excess-capacity storage contracts for district participants for the first time in 2017. The Enterprise also expects the federal feasibility study for the Arkansas Valley Conduit and an interconnection of the north and south outlets on Pueblo Dam to be completed later in 2017. The feasibility study is the final step that must be taken before construction begins.